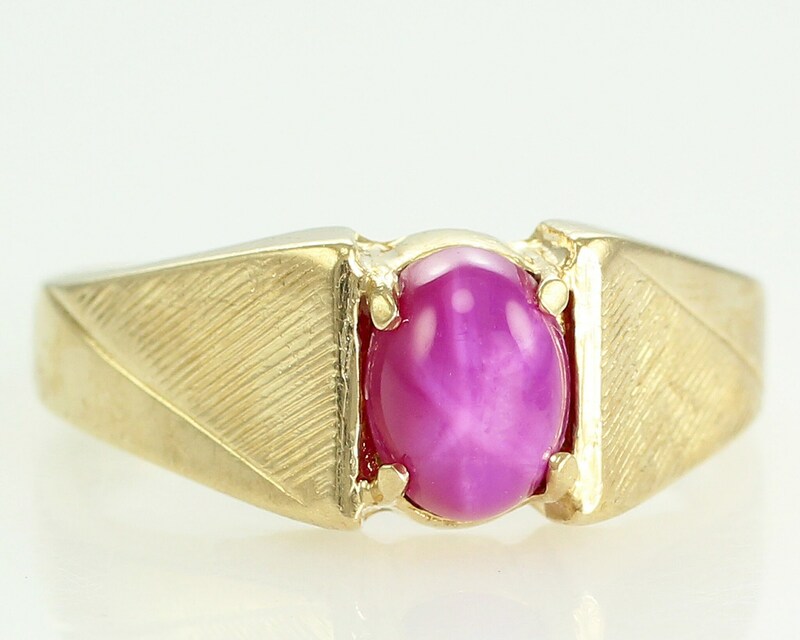 Vintage 10K Gent's Ring with Oval Lab Created Star Ruby. 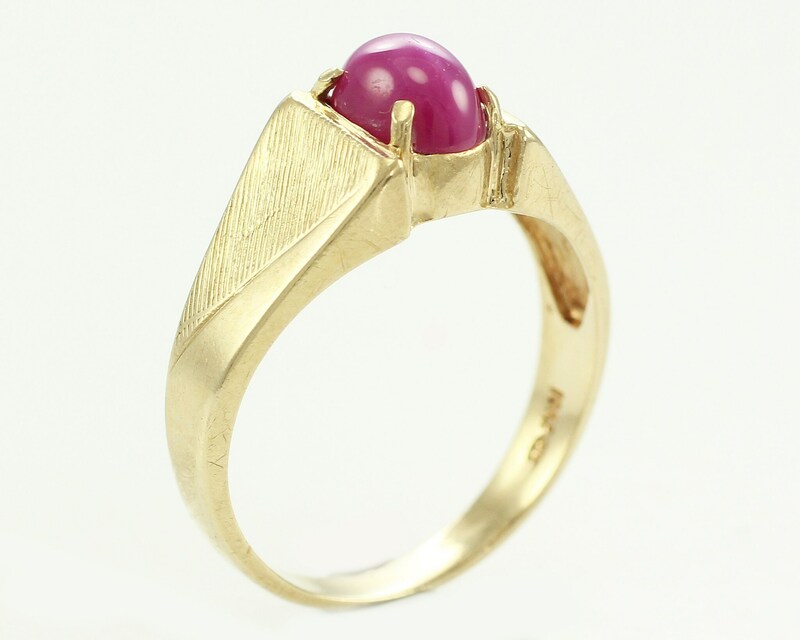 Made about 1980, this 10 karat yellow gold ring features one oval cabochon lab created star ruby. 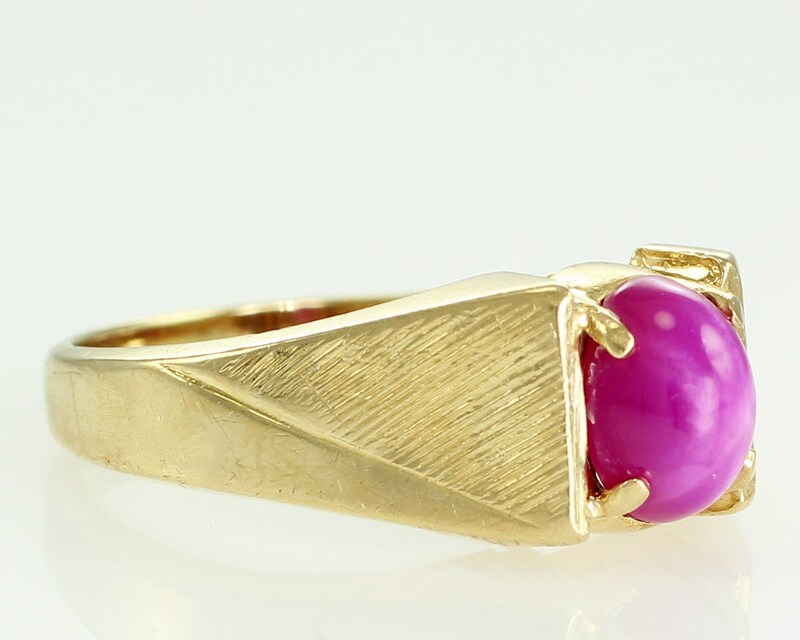 The shoulders of the ring shank have bold diagonal striped decoration. 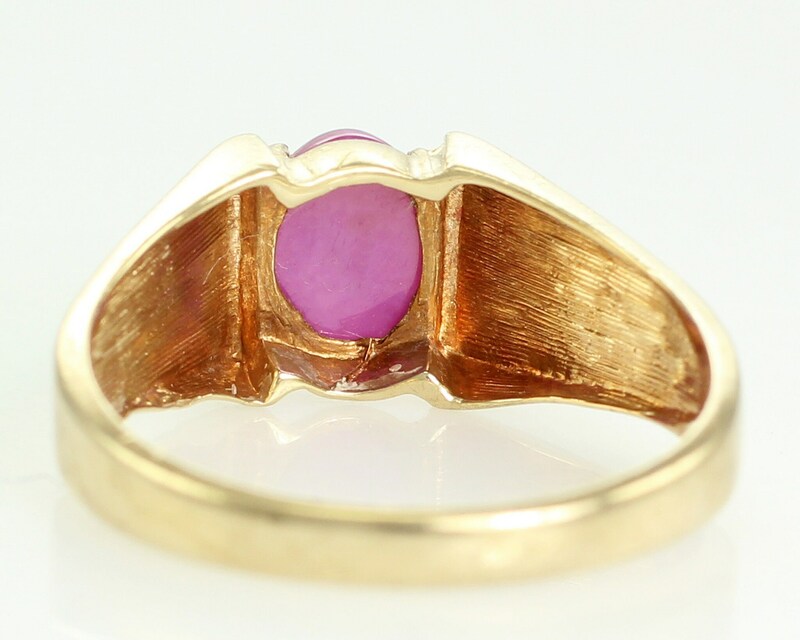 Made about 1980, this estate ring would be wonderful for everyday wear. CONDITION: Very Good Vintage Condition, with minor surface wear appropriate to age. The setting is tight. 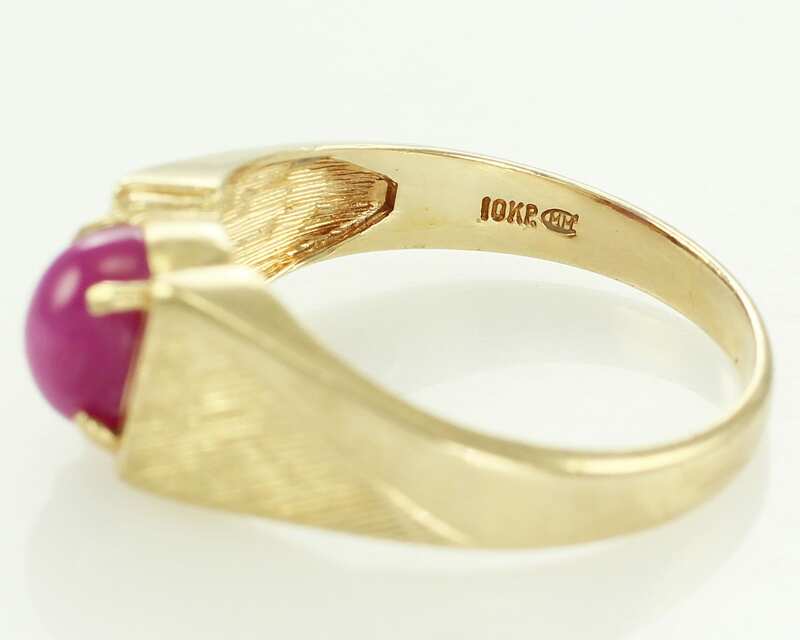 SIZE/MEASUREMENTS: Ring measures 8.8 mm wide at head and tapers to 3 mm at reverse of shank.